The December month is a wonderful time to use the language of the holidays that you celebrate with your family! 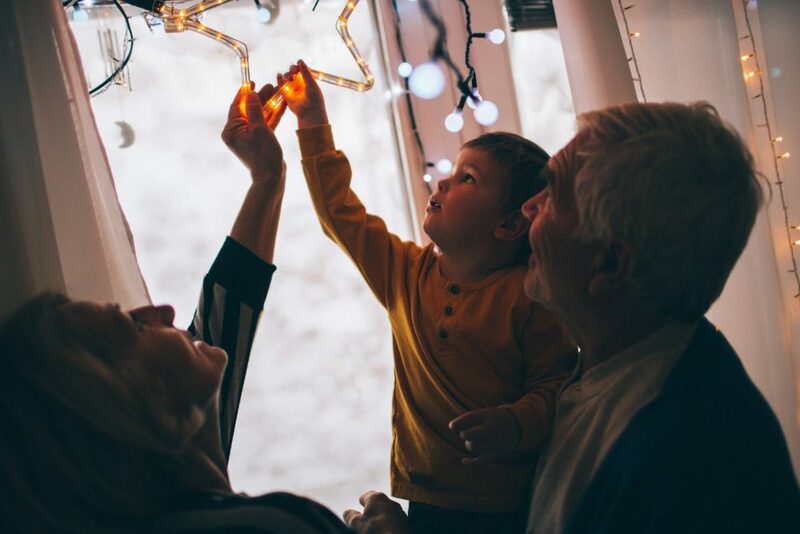 Whether it’s Christmas, Hanukkah, the New Year or any other celebration, use these fun holiday rehabilitation activities to expand your child’s language. 1) Create a photo album of each person you will be seeing during the holidays and rehearse their names with your child. Depending on your child’s level of development, they may only learn the names of each person. If your child has more developed language skills, you could extend this to longer phrases and sentences such as, “This is Aunt May, who lives in Sydney. This is your cousin Peter, who lives in Denver”. 2) Decorate the house according to the season you celebrate with your child. Talk about each item—whether it be tinsel and stars for Christmas, the Menorah for Hanukkah, or little seasonal decorations like snowflakes. Label each item and talk about where it should be placed in the house. Ask your child to pass each item to you or have them give you the instruction. You should also pack away the decorations at the end of the season together, which gives you another opportunity to practice the new language. 3) Identify 2–3 songs that you will focus on for the holiday season and teach new songs to your child. Give your child lots of opportunities to hear the songs and teach them each individual word. Remember that it may take them several repetitions of the melody and words before your child can sing the song independently. Singing the songs with siblings and family members as often as possible will help your child remember the songs and will bring even more fun to learning! 4) Cook traditional food together, such as Christmas cookies or latkes. Introduce each of the cooking utensils and ingredients to your child and read the recipe together. Describe all the actions you are doing and talk about who likes to eat each item. You can also take lots of photos during the process and turn them into a photo story your child can share with visitors, to engage your child even more with the language. Have your child offer the food you cook to guests and encourage your child to describe the cooking process to them. 5) Explain the customs and traditions of the season such as Santa Claus or gift-giving. Read stories that describe these traditions and watch movies and TV shows that will further strengthen your child’s understanding of these festive or cultural concepts. 6) Celebrate the season! Depending on where you live, the holiday season could be a time of cold or hot weather, but there’s always a variety of inside and outside activities that come with the season. Talk about the clothes that are specific to the season and dress dolls and teddy bears in matching outfits. 7) Play guessing games with presents and wrapped gifts! Use language such as “I wonder”, “I guess”, “I think”, “I choose” to introduce “mental state” language and Theory of Mind. Talk about tips for guessing wrapped gifts correctly, such as the sound it makes when shaken, talking about whether it is hard or soft, and if it is heavy or light. There are endless language learning opportunities you can introduce during the holidays. Just remember—talk about all the experiences you and your child have together, and have a wonderful and joyful time with the people that you love! This post was written by Trudy Smith, a Listening and Spoken Language Specialist who currently works as a Rehabilitation Manager for MED-EL. Trudy has worked for twenty years as a Teacher of the Deaf and Auditory Verbal Therapist and provided continuing professional education for hearing and vision specialists worldwide. Her philosophy: All things are possible with the right learning opportunities! Like this post on holiday rehabilitation activities for this festive season? Subscribe to the MED-EL Blog by entering your email below to get tips and tricks for rehabilitation sent straight to your inbox twice a week!